Dr. Im is able to provide sedation dentistry allowing ultimate treatment even for the most anxious patient. For all patients' comfort, the practice has a vast array of amenities including Flat screen TV's with satellite dish service, sound-proof TV/IPod headsets that envelope patients in their favorite music or show and provide theater quality movie viewing. Blankets, warmed aromatherapy pillows and essential oils, plus warm towels add to the experience. You will be prescribed a pill to take one hour prior to your scheduled dental visit. It is imperative that you have someone drive you to, and from your dental appointment. When you arrive at the dental office, you will be awake and feeling very drowsy and relaxed. Upon your arrival for your dental appointment, you will be immediately escorted to the dental treatment area and seated in the dental chair. You will be placed on a monitor to carefully watch your vital signs during the entire appointment. If you would like to hear some soothing, relaxing music, a CD player with headset, is available. Tinted glasses will be used to keep the bright light out of your eyes, and for protection. If you feel cold, you will be covered with a blanket. A small pillow is available for the small of your back. 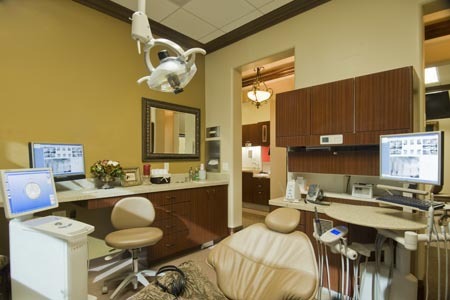 It is our desire that you are fully relaxed and comfortable before, during and after your dental appointment. There is no analgesic or pain relieving qualities provided by oral sedatives. Local anesthetics will be used to prevent pain. Because you are so relaxed, and because of the use of painless injection techniques, you will probably not remember when you teeth were actually being "numbed". When your treatment is completed, your friend or relative will drive you home, where you can climb into bed for a soothing, relaxing nap. When you are fully awake, you will feel comfortable, relaxed and free from stress. You will probably remember very little about your wonderful, relaxing, dental experience. You should not operate a motor vehicle for 24 hours after receiving Oral Conscious Sedation. Loved everything about my experience visiting Dr. Im....would definitely recommend!!! Please tell Betsy how pleased I am with my clean teeth! She did a wonderfully thorough job, and I truly appreciate her efforts. You and your staff are Number One! Thank for all that you do.